The weekly Naoko Yamada translations have a bit of a broader scope this time around, as we’ll be covering an event featuring 3 other directors at the studio alongside her, to know more about her workplace and companions. This is a translation of a transcription provided by Sekai of the 4 Directors Discussion at the 2nd KyoAni/Do Fan Celebration Event. As it was from notes/memory, there may be some inaccuracies in the phrasing/wording of the answers, but the general theme is correct. Shiraishi: Now then, let’s start by showing the works where you have been credited as main directors. 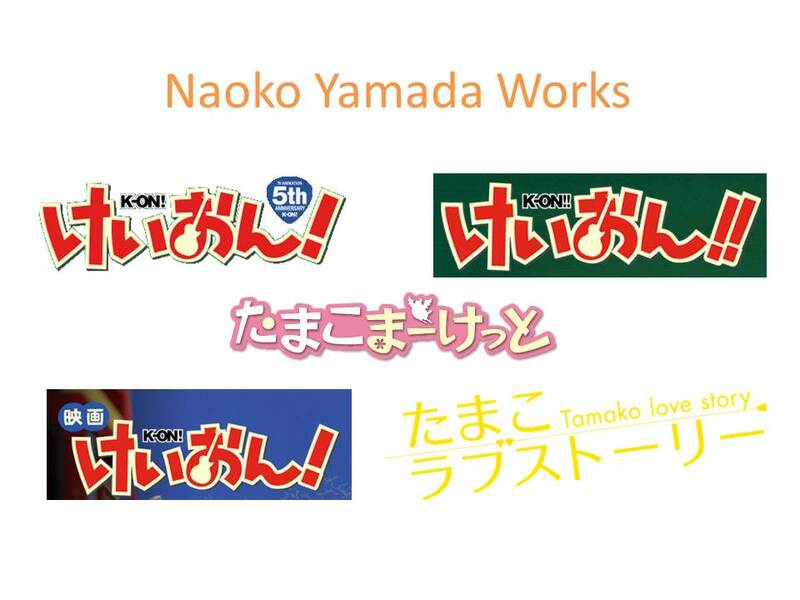 Takemoto: Magnificently all Kadokawa works. Ishidate: Nicely compact for me. Yamada: It feels soft and gentle with all the hiragana characters. 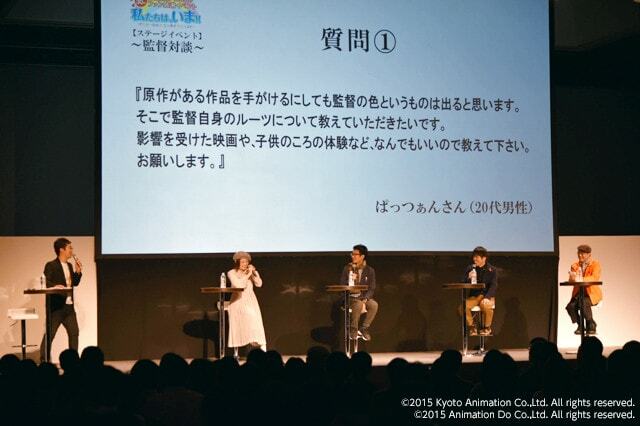 Shiraishi: For this event, we’ve collected questions submitted on the website for each director. We’ve chosen among them to ask each of our directors here today. Question 1: Even when there’s an original source material, I believe a director’s style comes out. Please tell us your roots (what works influenced you), what kind of child you were, and what prompted you to work in anime. Ishihara: I was influenced by 70s American movies. Shiraishi: What prompted you to join Kyoto Animation? Ishihara: There was an anime boom in the 70s with Space Battleship Yamato and Mobile Suit Gundam, so there were a few anime magazines published back then. They would have interviews with the creators in them, so when I had reached the upper grades of elementary school, I took an interest in that kind of job. I began to be aware of working in anime when I thought about what career path to take during middle school. I kept an eye on anime as 80s projects continued to be energetic. At that time, there was a bit of a different nuance to the word “otaku”; it was more of a “specialist” meaning term then. I enjoyed watching anime at that time, but I didn’t know if I would like making it. My pops swindled me into buying an 8mm camera. Takemoto: I don’t have any works that I was influenced by as a creator, but what prompted me to want to work in anime was Castle in the Sky. I wondered if I too could make such an entertaining work myself. I had other works that I liked, but there wasn’t much merit to them except for Castle. Ishidate: What influenced me was the film Back to the Future. I originally didn’t want to work in anime, I wanted to work in live action. When it came time for me to hunt for a job in that industry, I felt I wasn’t cut out for it. So thinking that I liked to draw things, I casually applied and was hired at KyoAni. Takemoto: How many movies have you seen? Ishidate: I can’t count how many. Takemoto: That was the most frightening animation I’ve seen in my life. Question 2: Out of all of the numerous anime studios, why did you join KyoAni? Also, what was good about joining KyoAni? Ishihara: When I was in vocational school, I was charmed by the director from KyoAni who spoke to us at a company information session. Takemoto: I could live in Kansai. There’s a difference in the cost of living between the Kansai and Kanto regions. Shiraishi: So what was good about joining KyoAni for you, Ishidate-san? Ishidate: What was good about joining was…. I had a good reason? Shiraishi: You wouldn’t find it at this company! Ishidate: The personalities of the president and director when I started were so honest. I thought I could work for a long time here. That might be a bit shallow of me…. Yamada: When I was looking through leaflets and job opportunities at my university’s entrance, I saw it and it felt right. What was good is that everyone’s real personality is gentle and honest. This is a company that treats people’s hearts as most important. Question 3: KyoAni’s production quality is quite high; how long does the production time take? Also, please tell us times where you were glad you did something, failure stories, or points where you were working on each other’s works and thought it was amazing. Ishihara: Our production timeframe isn’t different from others. Takemoto: There’s not a big difference from when we start production from other companies. I don’t know about how they handle the schedule from there though. Shiraishi: The quality of the anime from KyoAni is magnificent. 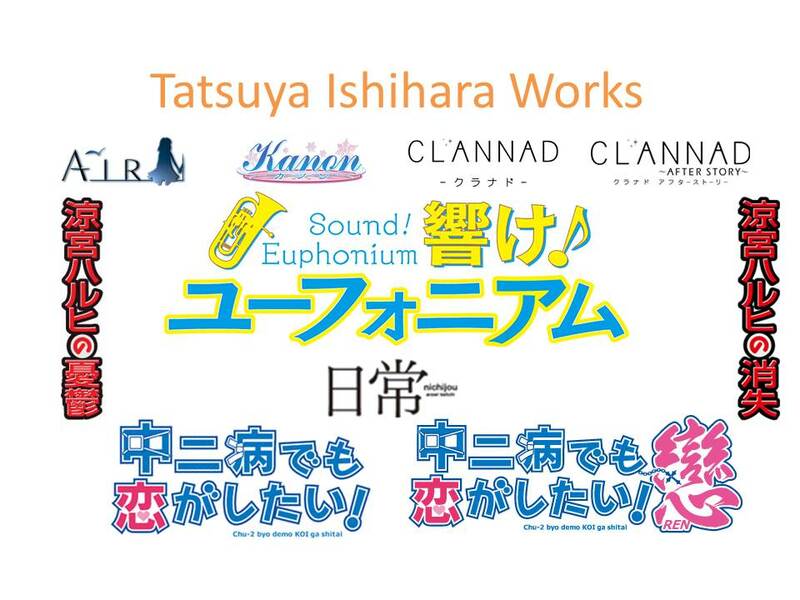 Ishihara: Other companies have magnificent anime too. 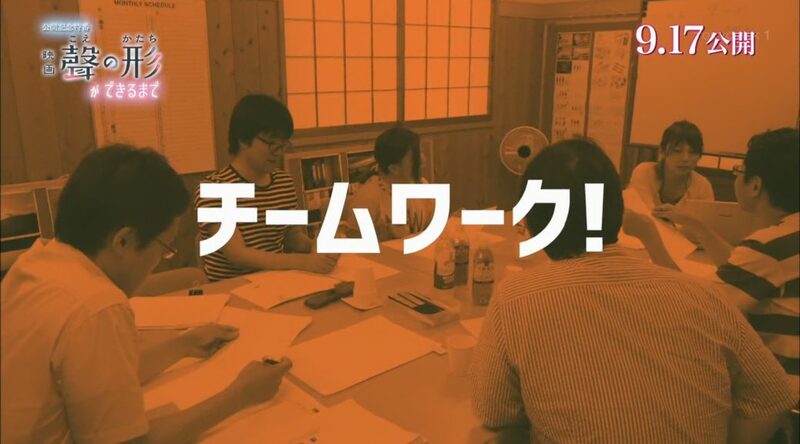 The workplaces are scattered around in the Kanto region, but KyoAni packs the staff into one company. I think being able to go and have a meeting with someone in charge when you think of something has merit. Shiraishi: Does anyone have any failure stories or anytime where something didn’t turn out well? Ishihara: Can I speak seriously? There are points when working at the same location, you have to give in to another staff member while not understanding why they feel their view is the “right” one. Shiraishi: There were also bloomers in Clannad. Shiraishi: Yamada-san, what kinds of encouragement have you received from other directors? Yamada: Ishihara-san advised me when I first became a director, and he tutored me with my first chance as episode director, so I feel guilty over bringing up the bloomer discussion. Ishihara: It’s like if I were cooking at a restaurant; if I don’t like a character (or dish), then their appeal won’t come out to the customers. Yamada: I liked the style that Ishidate prepared for that episode. He taught me various gimmicks and it was very fun working on it. I was always happy by the time we had to go home. 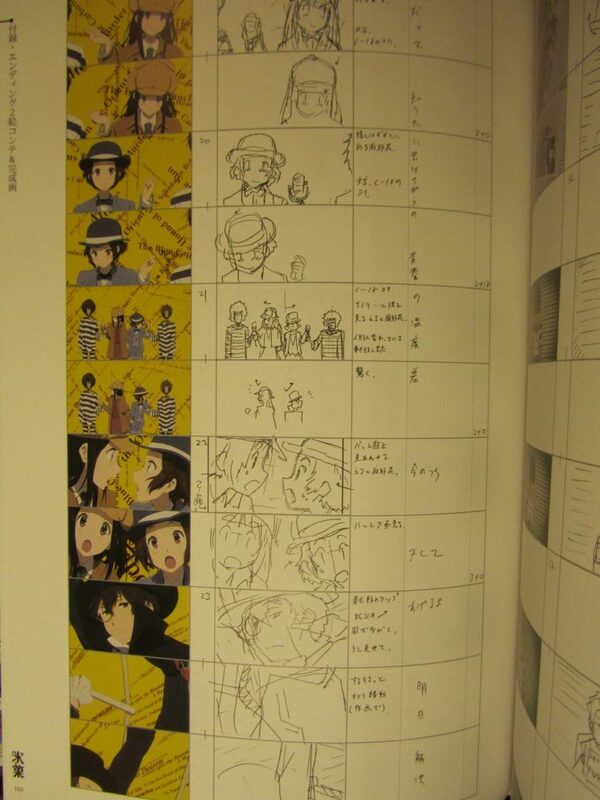 Takemoto-san, along with theory, taught me how not to leave anything useless in the gaps when I finish storyboards. Show a full picture. Takemoto-san is great at drawing everything. Question 4: Showing characters’ legs is charming, but what is the reason behind it? Ishihara: Legs are Yamada, right? Shiraishi: Is it a leg fetish? Yamada: It might sound awkward, but when you’re nervous, you move your legs around. I think it would be nice to express emotion like that. Question 5: When you encounter a moment in your everyday life that you want to depict, do you switch to director mode? Please advise me as a senpai in animation. Shiraishi: Do you have things that interest you at first glance? Yamada: I do. We don’t exist in the world our eyes see, so I’m interested in how people communicate, why they move a certain way, and their feelings to move around. It may only be “blowing your nose” but it can be an inspiration. Ishidate: I watch people. I was inspired by Director Yoji Yamada’s book where he says “How do I feel? How can I convert that and convey that feeling?” I continue to stretch my antennas thinking about how I can convey what I’m feeling. Takemoto: I feel like I’m not a director who doesn’t think about his work, but I’ve become a director who gives it his all when I receive work that I’m affected by. If I don’t encounter something I don’t want to depict, then I don’t depict it. Shiraishi: Is there something that you would like to depict in the future? Ishihara: When Yamada and I were working on Sound! Euphonium, we were able to perform some location scouting at a high school and we referenced the gestures of high school girls cutely. I think it’s better for people who want to be an animator or director to not look at their phones while on a train. There are lovely moments in your everyday life, like when light hits a scene perfectly and you have a great background you didn’t have to search for. Shiraishi: Is there anything you want to do on in the future? Ishihara: I have a lot of things I’d like to do. I could spend the rest of my life thinking… and I’d still have decades of things I want to do. ..Suddenly I can’t say anything in particular, but it’d be nice to work on them. Shiraishi: Please give some advice too, Takemoto-san. Takemoto: I’d say the same as Ishihara-san. Observation is very important. Whether or not you encounter something you want to do, it’s important to keep watching people in some way and sharpen your skills. When something finally comes along that you do want to work on, you’ll understand how to use your tools. Turn your focus to yourself and dig inside. 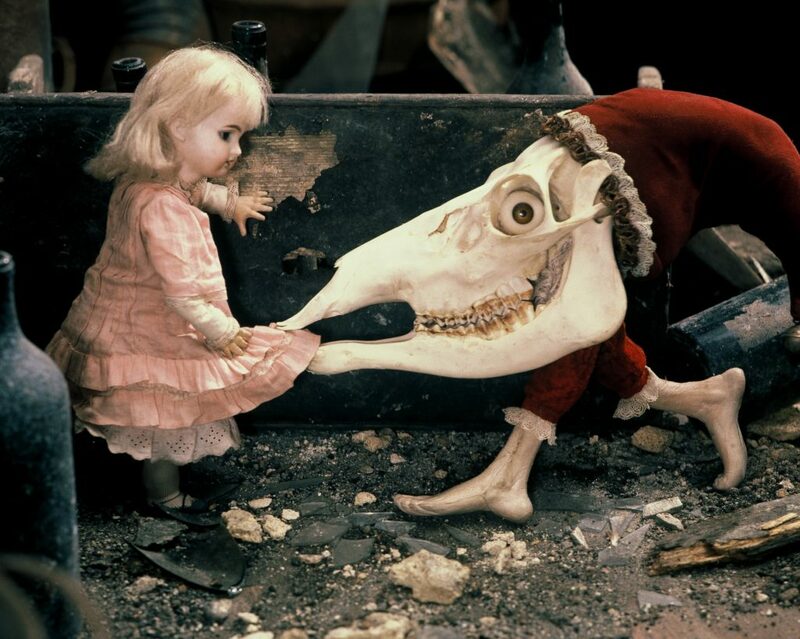 When you make something, you show the audience part of yourself, so you have to sharpen who you are as well. Once you understand who you are, you may understand how to make something. This might sound like it’s narrowing your potential, but even whether you’re a generalist who can do everything or if you’re able to understand nothing else than one specialty, you need the desire to sharpen it as best you can. Ishidate: I’ll counter Takemoto-san’s words a bit because I think it’s good to recklessly try anything that interests you when you’re younger. While you’re trying things you’re interested in, you can learn what’s fun for you. And then you’ll learn what your tools are for you to use. I don’t think it’s good to monopolize yourself when you’re young. Yamada: When you’re creating a work, it’s important for you to look at it positively and have faith in it. If you look at things crookedly or if you don’t carry affection towards it, then people who look at it won’t feel good watching it. In the end, love is very important for a work. Shiraishi: Finally, please give a comment to the audience. Ishihara: We could keep on revealing more info for this talk, but I think it has been enjoyable for everyone. For those who want to become animators, I feel like you’ll be able to get some motivation by looking at the exhibits today. Takemoto: I think everyone enjoyed themselves. If you want to be an animator, keep going forward! 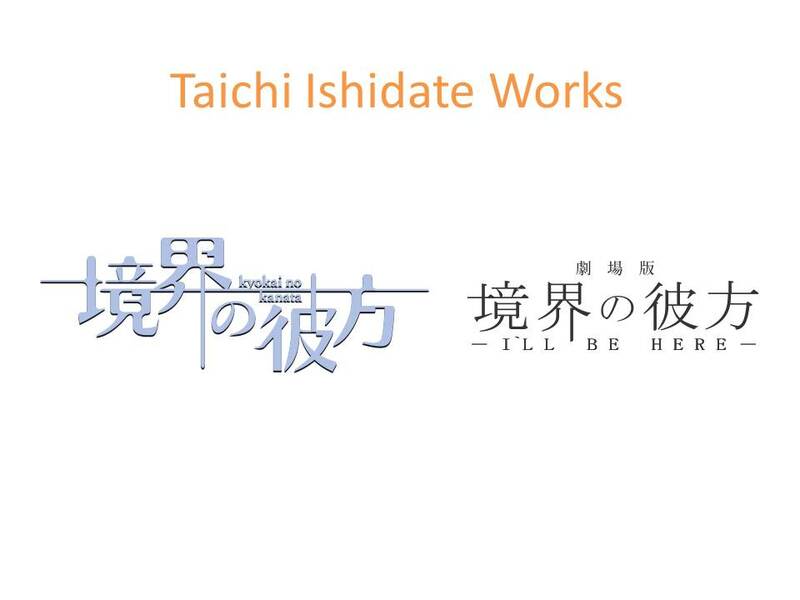 Ishidate: Thank you very much for today. This is the first stage event, so the burden was heavy for us onstage. We have some fun events coming up, so please enjoy yourselves. The neighboring exhibit space is open too, so I hope a lot of you go over there and see animators drawing first-hand. Yamada: It feels like we’ve become representatives of KyoAni, so we wanted not to make any mistakes in what we said. For those who have come to visit Kyoto, it’s about time for the leaves to change colors, so I think you’ll be able to enjoy that as well on your trip. 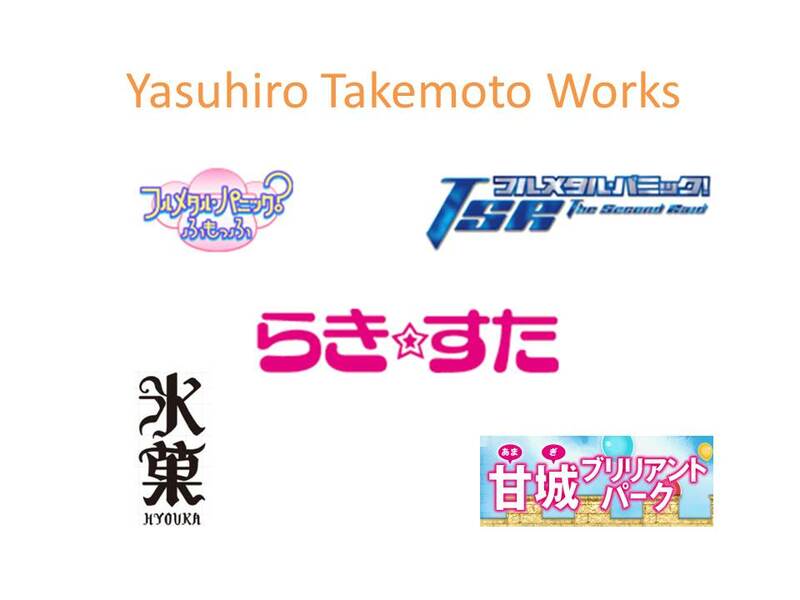 IIRC, Ishihara and Takemoto are both members of KyoAni’s board of directors. Alongside Shouko Ikeda and Kigami, yep. By the way, did you read my most recent comment on Euphonium 2 Episode 6? Yep, and I agree about Kawanami. The last thing Yoneda did before he left the industry was to train Kawanami to take his place. Oh right, forgot about that entirely. And I even remembered that precise tweet because of Ikeda’s name, lol.